Kyle Murchison Booth is the unlikeliest of characters to gain a cult following, yet he has. Eccentric, socially awkward Booth is an introverted museum archivist, descended from a most unusual family, who frequently finds himself in the midst of the most unsettling supernatural experiences and strange necromantic mysteries. 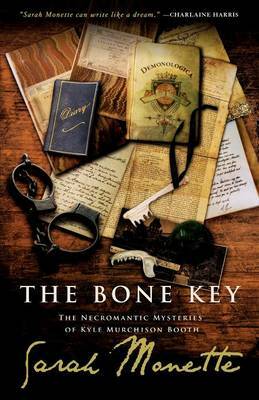 A gentleman and a scholar, the unwilling hero persevered through The Bone Key, a series of interconnected short stories, to win readers' hearts (and possibly their souls). This new edition, with a "puzzle" cover and a new introduction by one of Booth's "successors" at the Samuel Mather Parrington Museum, will delight current fans and allow even more to discover its dark charms.